CEOs rank customer service as the most important priority after growth, according a 2016 Gartner CEO survey. "CEOs seem to be concerned about improving customer service, relationship and satisfaction levels," said Mark Raskino, vice president and Gartner Fellow. In today's hyper connected, knowledge sharing economy, customer service is marketing. A global customer service leadership survey ranked business challenges as: always-on service, personalized service, and faster service and the top priorities. The challenge is to deliver faster and smart service with strong self-service and personalized options. In the age of the customer, where access to answers through self-service and personalization is key to service differentiation, businesses need to invest in technology, talent and lean processes to amaze all stakeholders. Prior knowledge of customer (contact history, organizational visibility, purchase history, customer surveys, loyalty programs, advocacy activities, feature requests, and business related service level agreements) is vitally important to help companies develop strong service delivery models and capabilities. What can companies do today to bolster their ability to amaze customers? Amazing customers is a function of having a strong: culture, people, strategy, process, and technology (and the order matters). 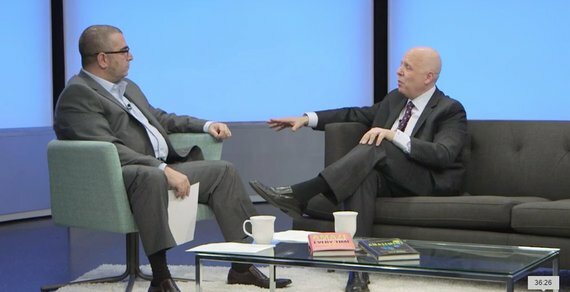 To better understand the art of amazing your customers, I recently interviewed Shep Hyken, customer service and experience expert, Hall of Fame speaker, and a New York Times and Wall Street Journal bestselling author. Hyken is a customer service expert, professional speaker and bestselling author who works with companies and organizations who want to build loyal relationships with their customers and employees. His articles have been read in hundreds of publications, and he is the author of Moments of Magic, The Loyal Customer and the Wall Street Journal and USA Today bestsellers, The Cult of the Customer and The Amazement Revolution, which was also recognized as a New York Times bestseller. His latest book is titled Amaze Every Customer Every Time. Today, Hyken is working with Fortune 100 companies and SMBs to help them build world-class service delivery capabilities. Customer service is not a department. Service is a philosophy that has to be embraced by every person in the department - from the CEO to every single contributor. Strong customer service organization embrace a culture of transparency and accountability at every level of the organizations. Every employee is trained, empowered and rewarded for delivery excellent customer service, across the entire business. The passion to serve and to delight both internal and external customers is in the DNA of all high performing service teams. Everybody has a customer - external (paying customers) and internal customers. You are either serving the external customer directly to serving someone who is responsible for serving your customers. Define what your culture looks like and your customer service ethos. Develop your customer service mission statement, vision and brand promise. What is your service vision? Make your customer service vision and mission easy to understand, meaningful, and inspiring - not two pages long. Technology makes the service experience better. Today's customer service leaders deliver mobile apps, self-service web, communities and social networking access, and advanced analytics to help personalize service delivery. The best companies use technology to improve service delivery, backed-up by people for human support. People do business with people. People build relationships with people. Excellent customer service organizations use data to anticipate the needs of their customers. Proactive customer service delivery and execution velocity is a function of a service organizations ability to use data to develop insights that lead to faster decisions and action, aimed at delivering customer value. High performing customer service teams use both big data and 'little data' to achieve service excellence. By accessing historical customer data, businesses can tailor and customize the customer experience. Hyken references the hospitality industry and their use of customer data to personalize customer experience. Strong customer service organizations understand what success looks like. Expand the net promoter score to go beyond the measure of intent, to include the 'Why?' element. Hyken advises companies to improve their contextual intelligence on NPS to better understand the reason behind customer advocacy. Amazing customer service means being better than average, consistently. This is a very important consideration when you implement an omni-channel strategy. So the first question: which channel should we use? Hyken has a simple and profound answer: 'the channel that your customer is on.' The key is for businesses to deliver high quality service across all of the channels that they choose to offer to their customers. The time to resolution on all channels, and the associated service level agreements, must be consistently above average. Customer service is the new marketing. A 360 degree view of your customer must be shared across all lines-of-business, including sales, marketing and services. A CRM platform that integrates social listening and publication capabilities, whereby customer service organizations can leverage the right content, at the right time, and deliver on the right channel to the right audiences. To do this, customer service teams must be able to collaborate in real-time with sales, marketing, R&D and IT teams. In addition, high performing customer service teams also collaborate closely with customer and partner led communities to better serve customers. Embracing the genius of the crowd is in the DNA of high performance customer service teams. Hiring is crucial for develop a customer service culture. Hire not only for their abilities. Hire for the personality. Does this person fit in with the personality of your culture? Hyken believes that aptitude and attitude is important but the personality type is what can make or break the brand promise. A customer service culture can easily drift away from their brand promises without the proper personality fit. High performance service organizations have FUN. You cannot expect customers to love your company before your employees do. Hyken uses the F.U.N. acronym to advise companies on how to improve employee satisfaction. The F is for fulfillment (are employees happy about their assignments? ), U is for uniqueness (are employee's unique talent aligned with their assignments?) and N is for next (are employees excited for what's next?). Hyken believes that there also must be a balance of accountability and fun. Leadership must keep company in alignment using both internal and external surveys. "What's happening on the inside of a company is going to be felt on the outside of the company," said Hyken. Amazing customers means being above average, all of the time. All of the time is key. Another key is when there is a problem, you have to fix the problem and then restore confidence. Be positive, be accountable and have a sense of urgency. Restoring confidence is key to earning the right to your customer's future business. A good customer service mantra: "Dear customer, it's our problem, until it's no longer yours." To learn more about how to amaze your customers, please watch the full video with Hyken. I also highly recommend that you follow Hyken on Twitter at @Hyken. Shep is one of the most social customer service and experience expert in the world. Please also share your advice on how to amaze customers with Shep and me.